Anyone who is a fanatic about Monster Hunter can tell you how loyal company Capcom is to their fans. Apart from sponsored events around London offering never before seen previews, help from the experts and chances to win exclusive merchendise. 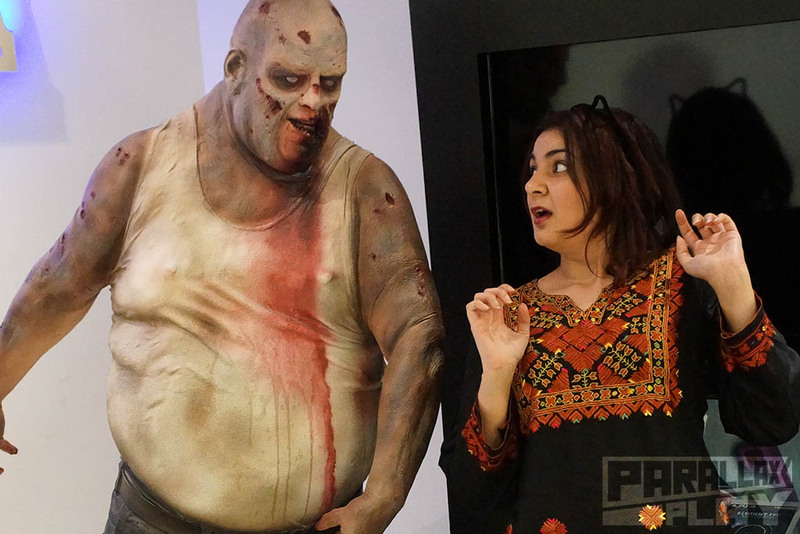 Their latest community event, held at the Capcom Europe offices in London offered even more to long-time fans of the franchise. Upon entering the fabulous reception we were greeted by the zombie mascot and Jake who escorted us to the hustle and bustle of 120 gamers getting there streetpass on. After a few competitions for Japan-exclusive plushie meat (vacuum sealed for freshness) , people were left to their own devices to mingle with other fans, play co op quests on big screen or on the 3DS’s. It hadn’t been made clear what was going on but all the gamers were so engrossed in their quests it didn’t matter. I inquired to the plan of events and was pleased to find out that the Executive producer of monster hunter Mr. Ryozo Tsujimoto would be joining us! 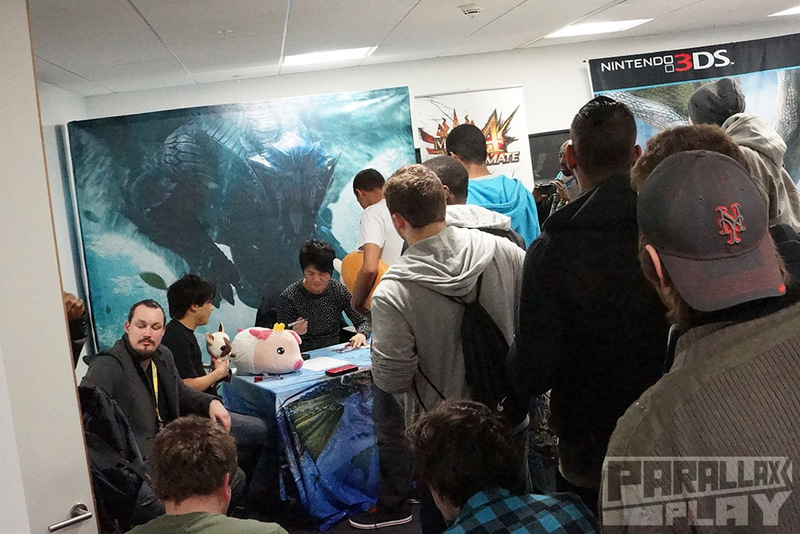 After much suspense, he entered and we all made an orderly queue, people brought along their Monster Hunter art books, games, DS consoles to get signed and Ryozo san was more than happy to oblige. After everyone’s trinkets got signed we all gathered to have group photos, and there were a lot of us to squeeze in. With Ryozo san being so kind to get photos with everyone, he bid us a farewell. We then grilled the Capcom representative for information on the new Monster Hunter and then were left to our own devices. A great opportunities to catch up with fellow online hunters! 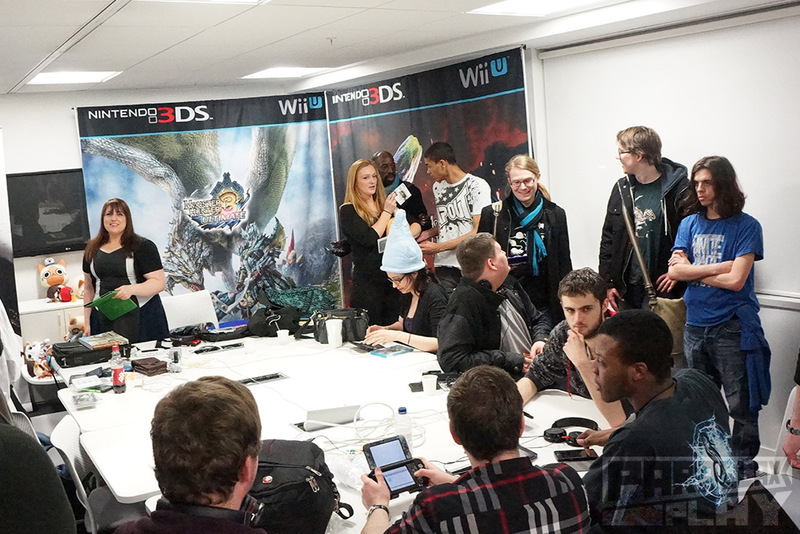 Hopefully Capcom will arrange more community events in the future as this was spectacular with a great turnout! Article originally written for Parallax Play.